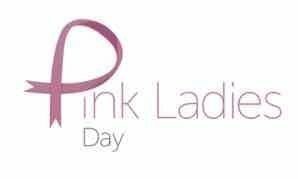 To be held on Saturday the 23rd of February 2019, Pink Ladies Day 2019 will be an afternoon of fabulous food, champagne and fun. Doors open at 12:30 for a 1pm start, the event will include a live cooking demonstration, major and minor raffles, and music supplied by DJ Mumma Tree. Raffle prizes include accomodation vouchers, beauty packages and many more. Complementary champagne glass to take home at the end of the day. With a focus on womens wellness guest speakers Michael Sandford will talk about meditation, working with cancer survivors, students, busy mums. - When booking your individual tickets, you will have the option to list the friends you are coming with on the checkout page. Please also provide any dietary requirements on the checkout page. Doors open at 12:30pm for a 1:00pm start.